On Monday, the PTA treated Year 5 to a trip to The Safety Centre in Milton Keynes. It was an amazing morning of practical and useful learning which allowed the children to consider how they could avoid or solve many commonplace and daily dangers. The set-up was incredible and the children were led through a town exploring different situations in a very real and practical way. Children had to consider the stopping distance of vehicles, water safety, road safety and car seat safety. They also entered a house and worked out how to manage different hazards that could arise as well as learning how to cope with an unconscious person. What was the most useful thing you learnt? Year 5 would like to say a massive thank you to the PTA. Tonight our PTA met to discuss up coming events . . . .
Quiz night – question master ready! End of term events – disco, panto. Many thanks to our hard working PTA. On Tuesday Nursery and Reception had a fabulous morning out to watch the Tiger Who Came to Tea. This is one of our favourite stories and the children enjoyed joining in, especially with the dancing! Many thanks to our PTA who funded the coach travel costs. Finance – Mother’s Day gifts, ‘Marathon mumma’ and funds for planned kitchen developments, Disco. Next meeting is Wednesday 17th May. Please join us. Many thanks to our PTA. We would like to take this opportunity to say… Thank you to all the participants of this year’s Talent Show. As a school, we have raised £192.65 (to date) for the DEC (Disaster Emergency Charity). As a class, we had great fun planning and participating in the show. Thank you to our judges, the fantastic Mr Roberts, Mr Cook , Noah and Delfin. Tensions are building and we look forward to finding out the overall winners, who will receive a £25 Vue cinema gift card, in Celebration Assembly tomorrow. What attributes do you think all the participants had to show this afternoon? Today many wonderful creations came into school for our egg competition. There were all different shapes and sizes and many very creative ideas. We look forward to announcing the winners in assembly on Friday. Many thanks to our PTA for donating prizes. 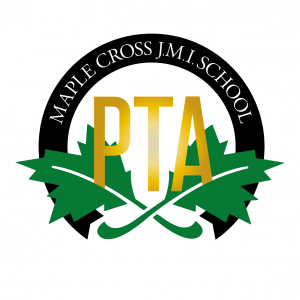 T onight, members of our PTA met to review recent events and discuss a range of upcoming events. Key ideas were; Easter disco at the club, Mother’s Day Gifts, Easter egg donations, the Summer Fair and Firework night. The PTA also approved donations to the school to support learning including class trips and a surprise for Year 6! Plans were shared about ideas to create a kitchen/cooking area for pupils in our community room. Many thanks to our wonderful PTA members. If you can support us in anyway please join us at our next meeting on 9th March. This Friday Year 2, 4 and 6 had an amazing time jumping on the Maple Cross bouncy castle. They were the winners of the highest attendance last term. Well done children! Who is going to be the winner this term? On Friday Year 6 demonstrated their outstanding leadership and collaborative skills by learning with Nursery. The pupils in Year 6 organised resources and then guided Nursery through the learning process. Together the children weighed, measured, rolled and cooked gingerbread men ready to sell at the Christmas Fair. Later at the Christmas Fair the gingerbread men flew off the shelves and we eagerly anticipate what our profit might be!